Pope Clement XIV died suddenly on September 22, 1774 at the age of 68. His pontificate had been dominated by the problem of the Jesuits. The various courts under the House of Bourbon and the Kingdom of Portugal urged the general suppression of the order. 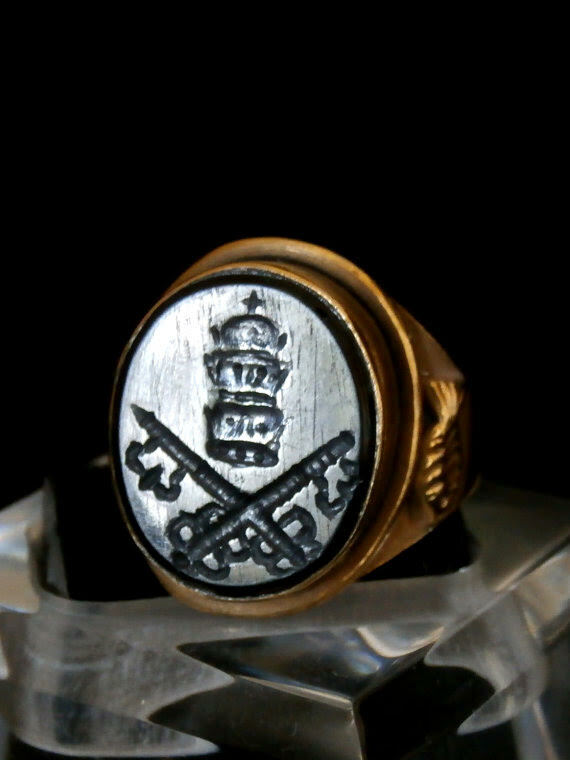 The Pope tried to defend them and to temporize, but finally had to capitulate, and in 1773 he issued the Brief Dominus ac Redemptor which suppressed the Jesuits. Father Lorenzo Ricci, general of the order, had been imprisoned in Castel Sant’ Angelo. However, the Jesuits still had many adherents in the Roman Curia and in the College of Cardinals. The attitude toward Jesuits remained the main criterion of the appreciation of the candidates to the papal succession in the subsequent conclave. 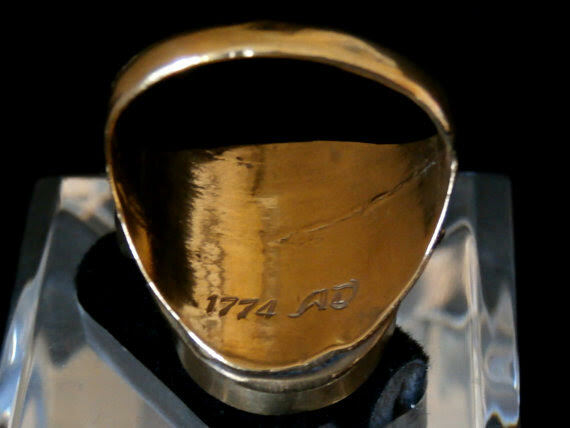 Papal Artifacts gratefully acknowledges “Simon@Timeslide”, an archaeologist, from whom the ring was obtained. Timeslide Ecclectic Collections’ website may be accessed via Etsy.